Peninsula Marine (formally Dicky B marine) offer exterior craft repair and refurbishment, complete repainting in high quality coverings either by spraying or hand painting to an exceptional standard using the best products the industry has to offer. We can also carry out complete topside re-gelling if that is your requirement. Fiberglass services GRP, high tech composites from small gel coating repairs to large structural damage repairs or retro fitting. 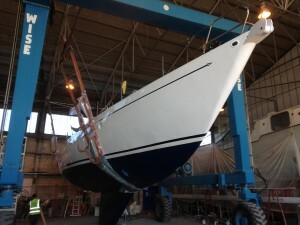 Shipwright skills in, wood working, cabinet making teak deck laying, heavy traditional wooden boat work. 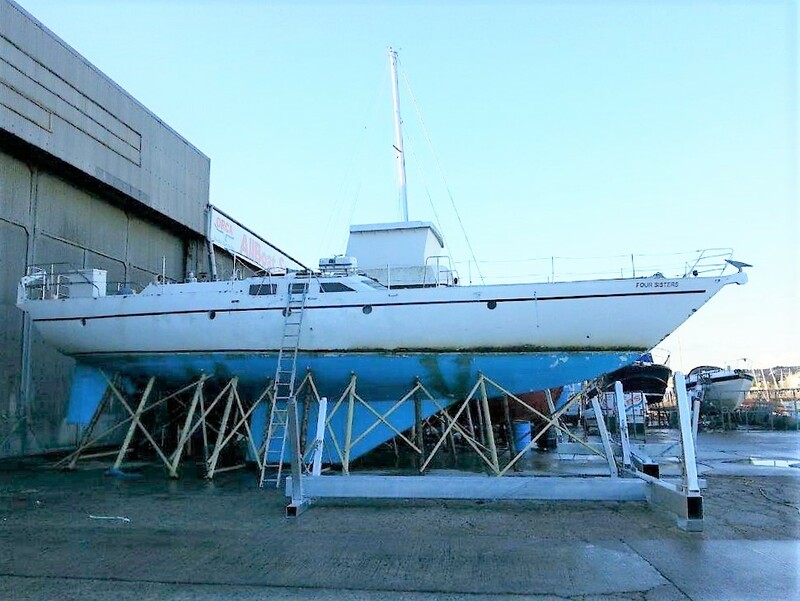 Underwater hull services, osmosis treatment, hull shot blasting, epoxy coatings, long lasting anti-fouling, foul release systems and traditional anti fouling. Engineering services from, diagnostics, servicing, all mechanical services A/C domestics fresh water/ black water systems on your craft including engine rebuilds and engine and generator replacement and retro fitting renewal. All your underwater running gear. Bespoke metalwork Fabrication in 316 stainless steel, aluminium and steel whatever the requirements you have for your craft. Electrical services from system checks to full rewire. Electronics troubleshooting to advising on upgrades, supplying and fitting new electronics and entertainment systems.